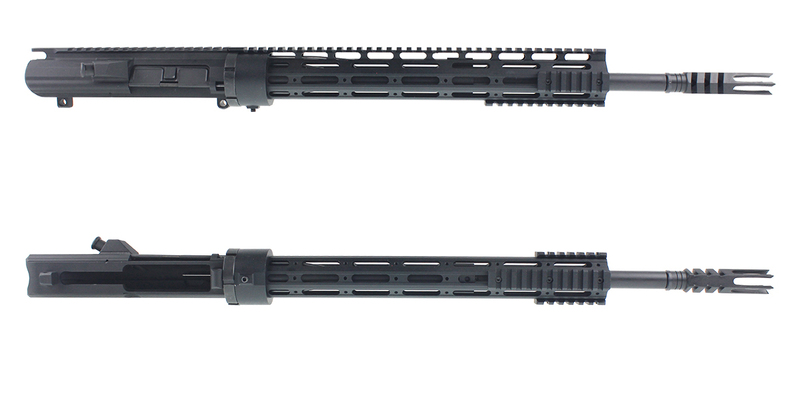 Built On A DPMS LR-308, This Upper Is The Standard In .308 Uppers. This Is The Latest DPMS 1st Gen Upper Design, Made From High End 7075 T6 Aircraft Grade Aluminum. 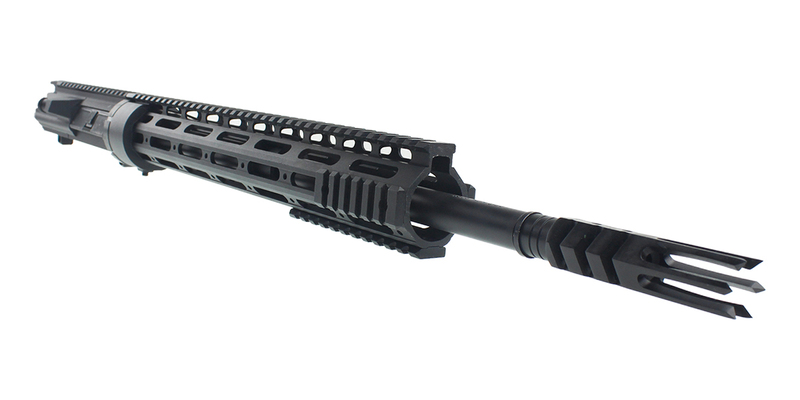 This Upper Features An Omega Manufacturing 15" Thin Ultra Long Quad Rail Handguard. This Handguard Allows You To Comfortably Grip Your Rifle With Various Shooting Positions & Securely Mount A Variety Of Accessories. This Upper Also Includes An Official Recoil Technologies Spike Style Muzzle Device. This Muzzle Device Is CNC Precision Machined With Superior Quality, Heat Treated, Erosion Resistant Parkerized Steel. It Comes With A .308 5/8x24 Thread-On Pitch. Side-Ported & Ported On Top To Reduce Muzzle Flip, Recoil & Barrel Whip. Featuring An Aggressive Devil's Pitchfork Custom Design With Extra Long Razor-Sharp Steel Prongs. Works Well As An Improvised Breaching And Impact Device For Hand-To-Hand Situations. The DPMS LR-308 Is Compatible With All Manufactured Lowers Except For Armalite, Newer Bushmasters, And Rock River Arms.